Security for Android phones just like any other smartphone is a necessity, and just like the other ones, it has already got quite many apps for the security of the phone, some of which include the Android antivirus and Norton security for Android. Another amazing app which helps in the security of the mobile phones, is the Lookout application that apart from remote management of the phone and backup of the contents, also provides an antivirus feature that would keep your phone safe and away from viruses. The phones are vulnerable to any attacks, when the files are either shared or downloaded through one of the connectivity options like Bluetooth, Wi-Fi or any open unsecured network connections. The lookout application scans every file that is shared through bluetooth or downloaded through the internet, and marks it as safe or a threat. Scans every new application that you download from the market and install, and the 3rd party apps that you install on your phone. You can schedule or set the automatic scanning of the phone, everyday or once a week. 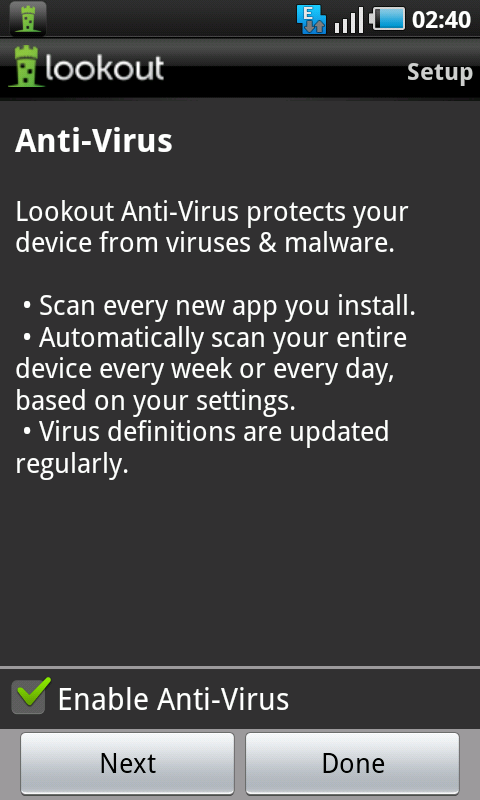 The antivirus program of LookOut updates with the latest Virus definitions regularly. The scanning program scans the entire device and also, all the applications that are present in the phone. It shows all the threats and risks on the phone, and eliminates them if they pose any danger to the security of the phone. 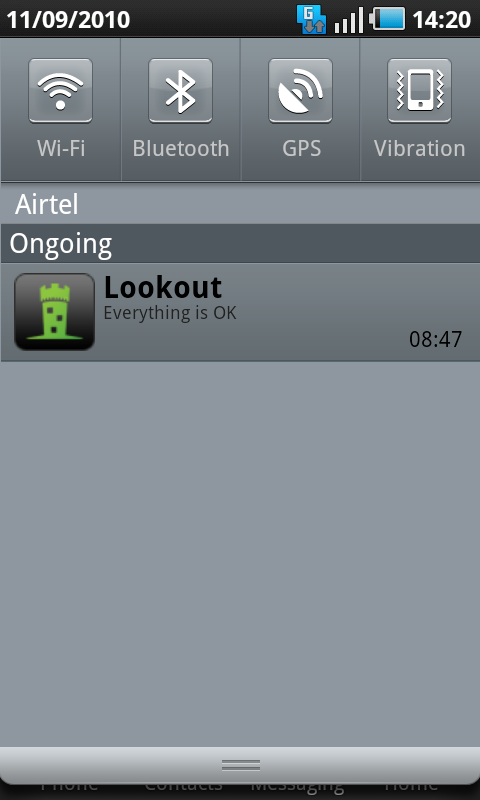 One of the best thing with Lookout security system for Android is that it keeps the phone safe from the moment you install it. It has a firewall, and the security system are all very light and does not each much of the phone memory and battery, although it keeps running on the background. The status of the phone is always safe and displayed on the top panel. Check more about the app and download here. This is really a good security application, and the excellent feature for this application which attracts the costumers and increases its range in international market is the scanning of the content which is shared through the Bluetooth or Wi-Fi.